1217: England has been invaded. Much of the country is in the iron grip of Louis of France and his collaborators, and civil war rages as the forces of the boy king try to fight off the French. 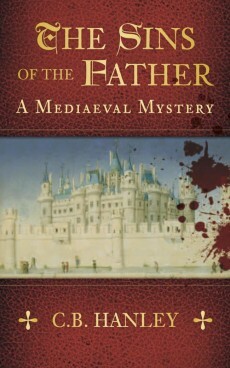 Most of this means nothing to Edwin Weaver, son of the bailiff at Conisbrough Castle in Yorkshire, until he is suddenly thrust into the noble world of politics and treachery: he is ordered by his lord the earl to solve a murder which might have repercussions not just for him but for the future of the realm. Edwin is terrified but he must obey; he takes on the challenge and learns more until he uncovers a horrific secret which has been dead and buried for fifteen years, a secret which might kill them all – and realises there are some questions to which he might not wish to know the answers.